1 - 2 Color Notepads are a wonderful promotional tool. Everyone uses notepads. Notepads are an essential desk tool for quick notes. 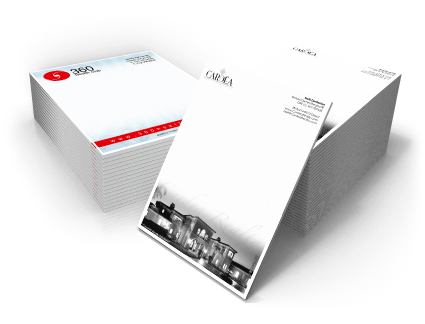 You can create unique 1 and 2 color notepads with your company information printed on them; perfect to hand out to customers and clients. They'll see your company information every time they use your notepad. And since notepads are so useful, your customers will more likely use them and not toss them away.